In manufacturing, a cardinal sin is not knowing what your costs are and what the bottom line is, says John R. Lindholm, president of Custom Caseworks Inc., in Sauk Rapids, Minn. 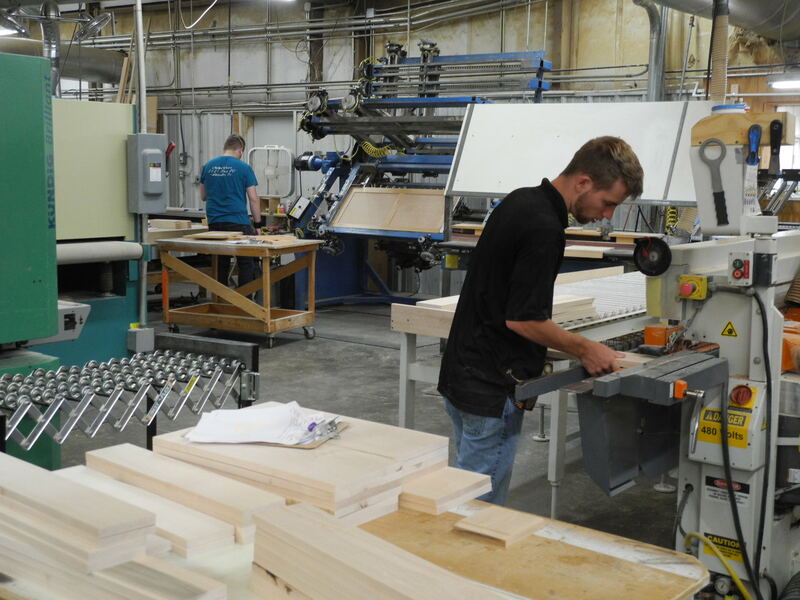 Custom Caseworks is a supplier of engineered wood products and a secondary contractor in three major markets: commercial store fixtures, office furniture and institutional casegoods. To get accurate, real-time and instantaneous feedback on all aspects of production, including the bottom line, Lindholm purchased Trakware software in the third quarter of 2003. Now, Custom Caseworks has accurate work-in-progress data, inventory, labor, burden and overhead values on demand. "We have power in knowledge," says Lindholm. Knowing your costs allows you to bid with intelligence, to adjust estimates in competitive situations and to take immediate corrective measures when needed, he adds. A lot of woodworkers and small business owners get to the end of the month and don't really understand why they made money or lost money, he says. "We've been very slow as an industry to understand and embrace technology in the integration of our business practices," he adds. 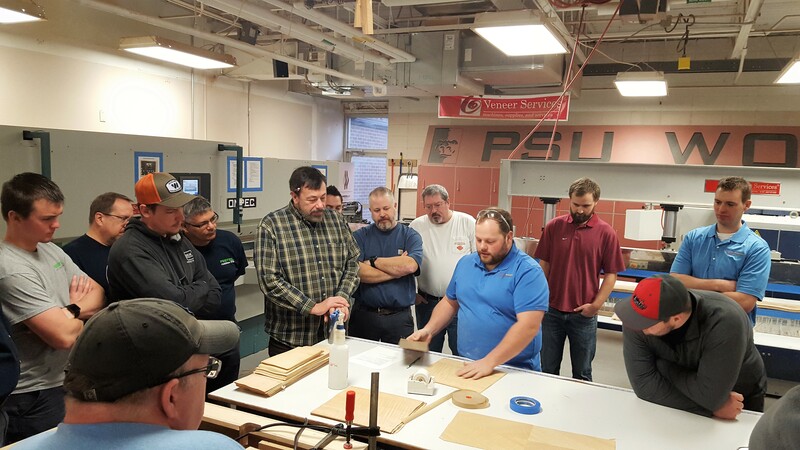 When Custom Caseworks opened in 1994, it was responding to two major trends in our industry, says Lindholm - the advent of technology in CNC equipment and outsourcing. The company has been systems-driven since day one and focused on using technology. "We embrace it to the fullest. We gain tremendous efficiency because of it," he says. "The tag line on our business is, 'We are Woodworkers using Technology.' "
Trakware is the third system Custom Caseworks used. The first system in 1994 was a Unix-based system, and the second system that replaced it was Windows-based. Neither system accommodated 100 percent of the orders. "It accommodated 70 percent of our sales that are residual repeat orders or very long runs. With the 30 percent of the project-based orders, it was cumbersome and expensive to use because of the administrative costs," says Lindholm. Trakware uses an Oracle database and is a closed-looped system that goes from estimate to general ledger. Lindholm chose it because it would accommodate both project-based and repeat orders in a real-time environment, he says. It's also fully parametric, accommodating changes in products instantaneously. For the system to work, Lindholm says that both management and the shop staff have to be invested in it. "Many systems break down at the origin if expectations aren't clear," he says. "You need compliance from the shop floor personnel and they have to use the system efficiently and accurately. I explained to people what we're doing and why we're doing it." The tasks and business that should be automated are now automated, and skilled and wage-appropriate staff are conducting tasks that cannot be automated, he says. "Consequently, as our volume grows, the efficiency that we gain with our automated technology will enable us to grow volume without having to add office or operating expense, because we're efficient." Constructed in 1994, Custom Caseworks' spacious manufacturing plant is highly engineered, says Lindholm. The company uses an Orma automated flow-through hot press laminating line that uses PVA glue for veneers and high-pressure laminates. In 2000, the company added 16,000 square feet to the plant for manufacturing and warehousing. In anticipation of an economic recovery, Lindholm made six major capital improvements in the past 18 months. In 2002, the company improved the CAD/CAM department by upgrading Pattern Systems software and adding CADcode CNC software. 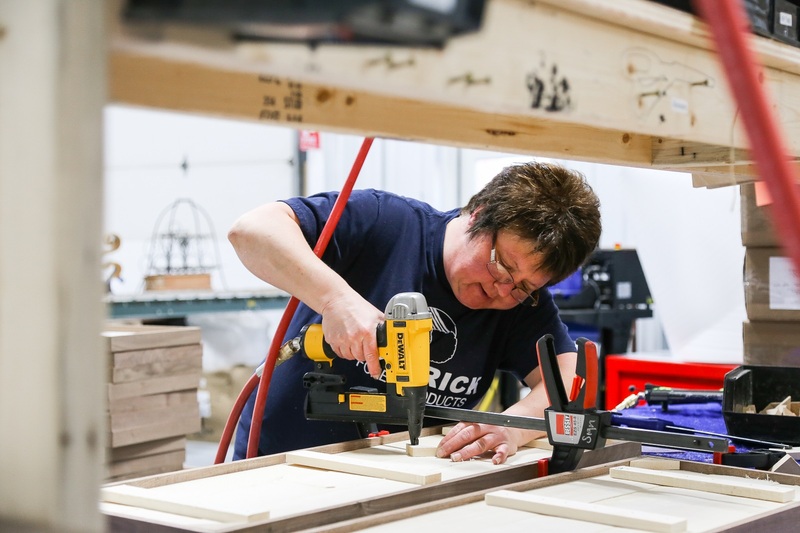 In late 2002, the company upgraded to a Biesse R30 point-to-point drill and added a Komo Mach III 1250 CNC router to the Komo VR805 CNC router it already had. In 2003, the company upgraded to the Selco WNT600 rear-load beam saw and added a ReTech waste stream grinder. Other equipment includes a Homag edgebander, a Torit/Day dust control system and material handling systems. In the third quarter of 2003, the company purchased the Trakware software, with a new server and computers. Rather than move old parts and data into the new system, the company decided to start with a pure and clean database built from scratch with new labor and material data. Lindholm says that Trakware's strength is that it is interactive on the shop floor. Employees see targeted hours, the percentage of work completed and are able to assess their efficiency at any given point in the process. He says the information gives employees a lot of information that provides motivation. Employees feel they have ownership in the company with 401(k) matches, profit sharing and cash bonuses based on overall corporate performance. "They know if the company makes money, they make money." With a repeat order, customer service mobilizes the order with manufacturing and the shop. With new projects, the estimator puts the data into the system. There's really only one data entry with a series of checks and balances. Once the bid is accepted, customer service gets involved and matches the estimate to the final customer purchase order or contract. An order acknowledgement is created, which goes to the customer, and a sales order and work order are generated, which are internal documents. This is all part of project management. The engineer works off the original estimate to create an accurate bill of materials and a work order. The bill of materials will become a purchase order, which brings goods into the door, which will ultimately lead to an invoice and payment. The engineering work documents join up with the manufacturing documents, which are CAD/CAM and the only part of the manufacturing process that is not part of the Trakware system. The created job packet provides the shop with all the information needed in terms of materials, work, programs and tooling. This then becomes work-in-progress, and when the job is finished, a packing slip and an invoice are created. "It upgrades burden and overhead in a dynamic environment," says Lindholm. "There's an electronic link into Business Works, our financial software. We can configure reports on any field of data that we want, in any configuration, in any relationship to correspond to any data. So we can do our own comparatives and we can do our own analysis to fit our business needs."